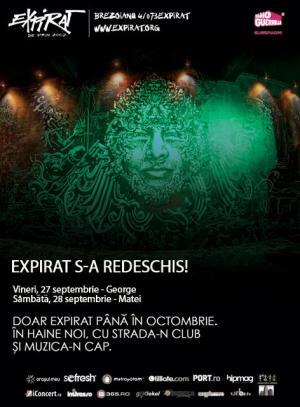 Go check the new design of Expirat Club Bucharest! Keep the music in the head and the streets in the club! "WEEKEND @ EXPIRAT" Party in Bucharest. You can get here description, reviews, address, time and details of "WEEKEND @ EXPIRAT" Party in Bucharest. Visit Bucharest Tips for more Party events in Bucharest!